I finally tackled my 2015 holiday card album earlier in the fall, but thought that posting about it in December was more fitting timing for a holiday card album. 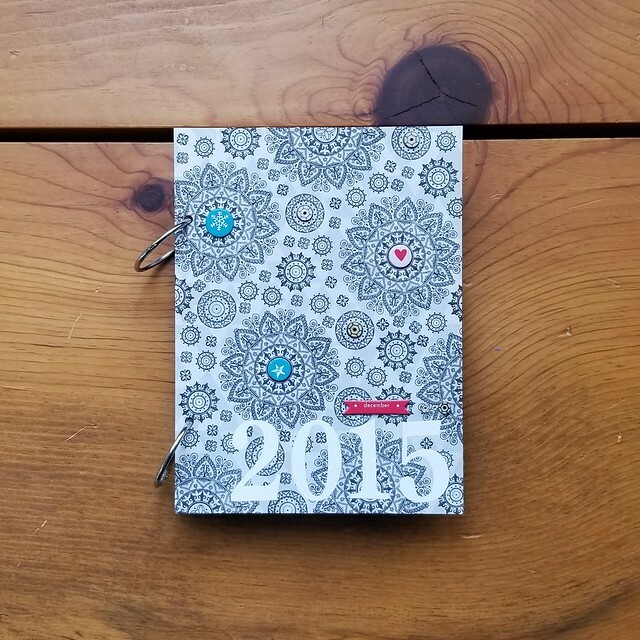 The first few years, my December mini albums were a little more involved because I scrapbooked about events that happened in December. 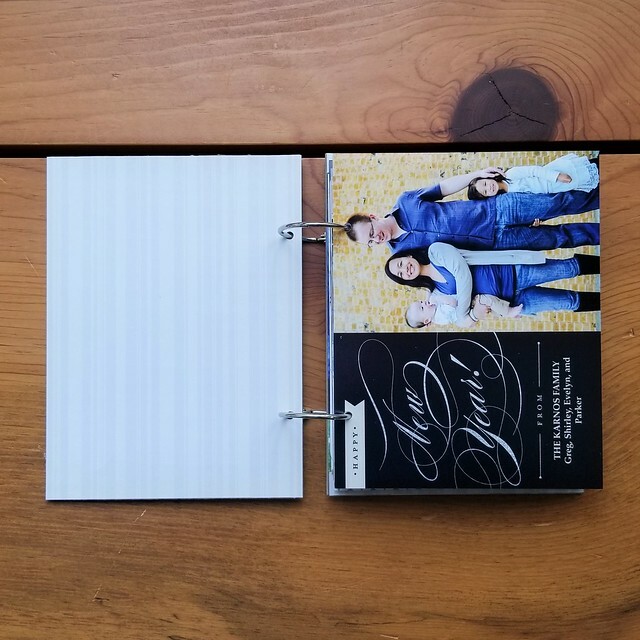 In recent years, I've scaled that back to just keeping the holiday cards we receive, especially since almost all holiday cards these days include photos or are photo cards. 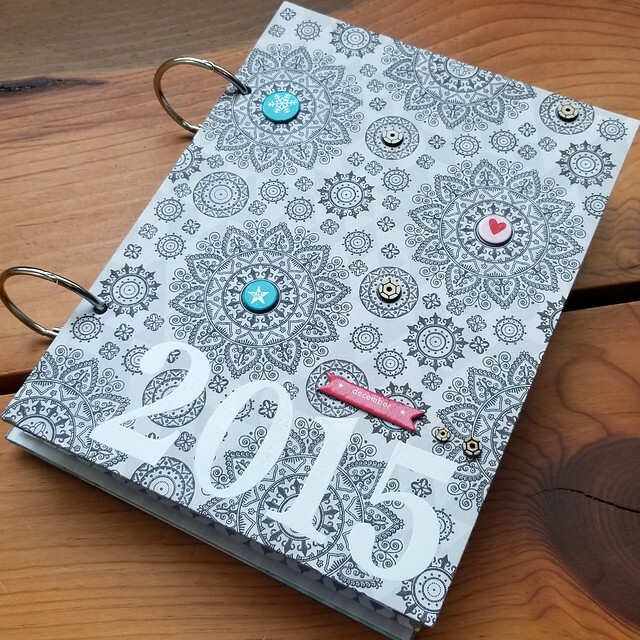 For the covers, which is really the only part that I craft, I started with gray patterned paper from Elle's Studio. 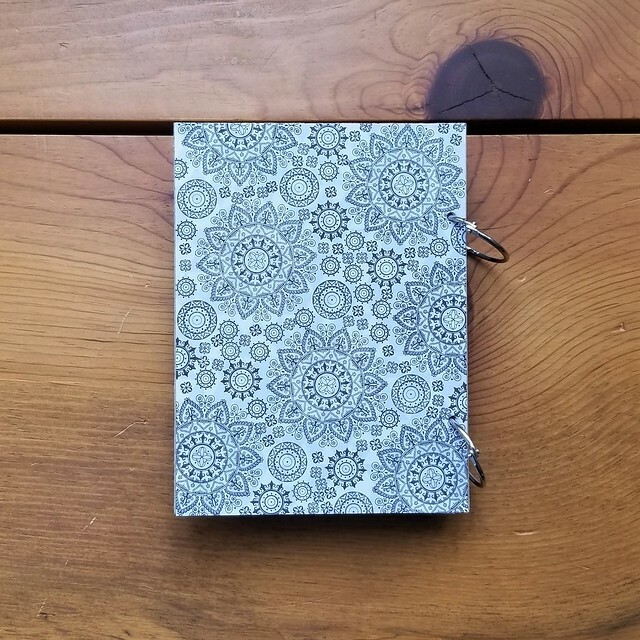 I used Papertrey Ink's Mehndi Medallion Mini Stamp Set to add the pattern to the covers, and added some chipboard (Freckled Fawn) and wood veneer (Chic Tags) embellishments to the front cover. 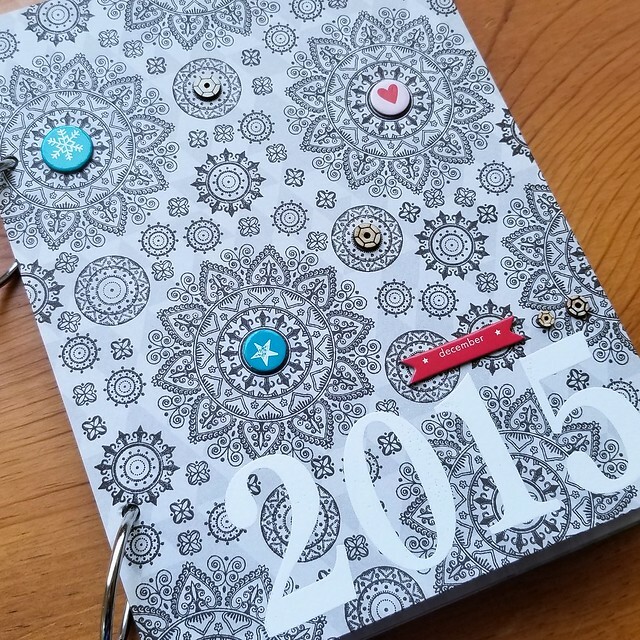 I also stamped and heat embossed "2015" in white. The black mehndi stamping on the gray paper really popped - it turned out better than I envisioned in my head!